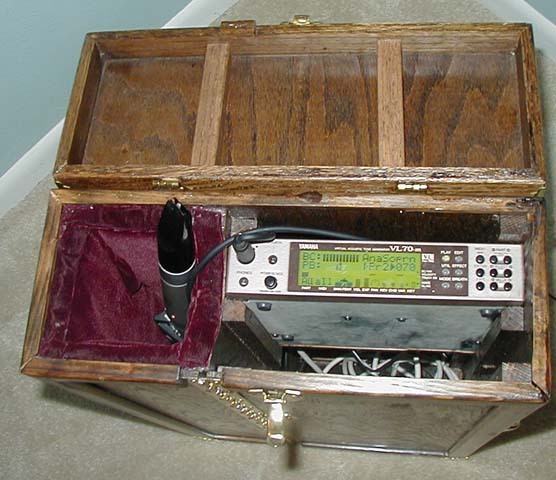 Here is a case I use for my WX-5 wind controller and my VL70-m Synthesizer. 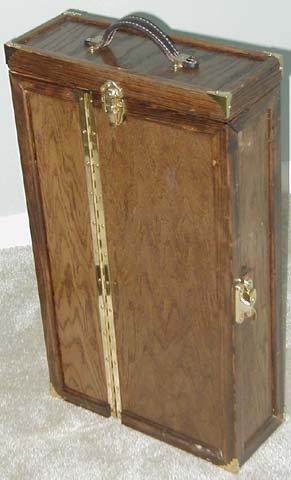 This case was built by Michael Keys. By storing the horn in the case with the synth, I can leave it hooked up. All I have to do to set up to play is plug in to power and an amp. 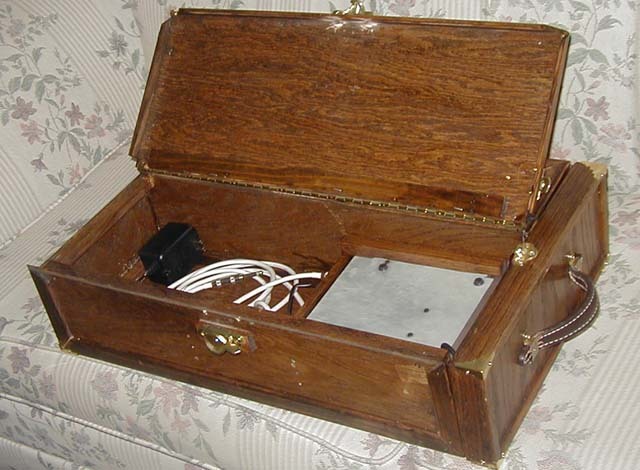 The case opens at the top to provide access to the horn and also to the controls of the synthesizer. 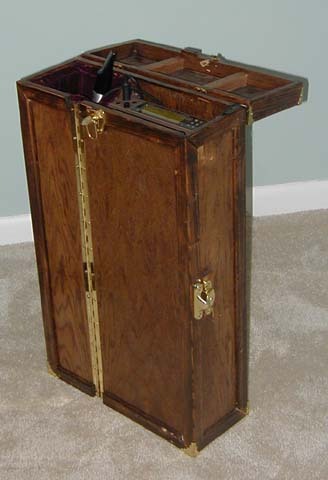 By setting upright, it holds the synth at a convenient height and position to operate the controls of the synth while seated or standing in a performance. The padded storage area for the horn protects the horn during transport and also provides a convenient horn stand during rehearsal and performance. Here is a top view with the top open. The horn holder is foam padded and felt-lined. There is room to mount another small device under the synth. Since this photo was taken, I have mounted a small (30W) practice amp in this spot and also mounted a speaker in the back of the case. 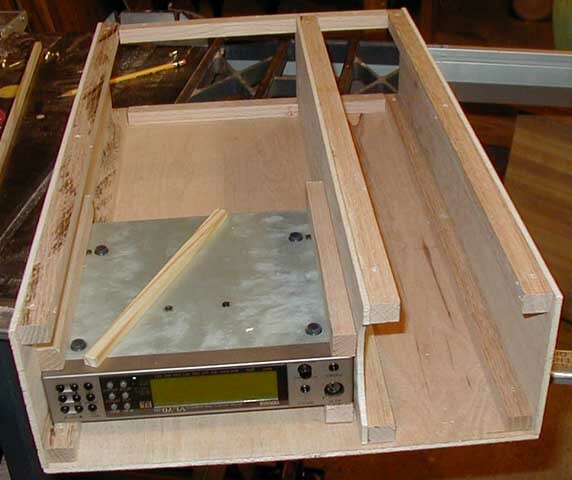 The side panel of the case opens to provide easy access to the back of the synth and also provides some storage area. I usually keep an extension cord, power strip, headphones, and a small practice amp in this area. 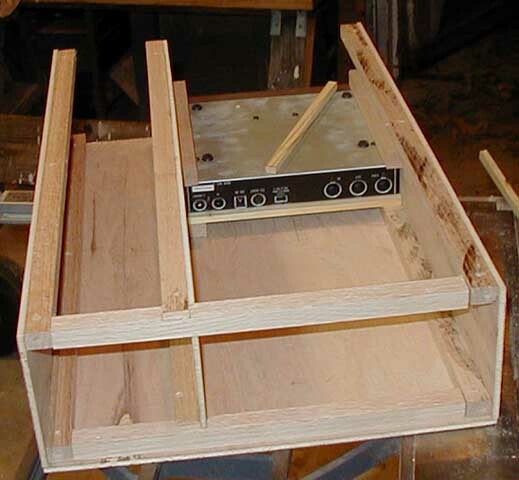 A view of the case under construction from another angle.